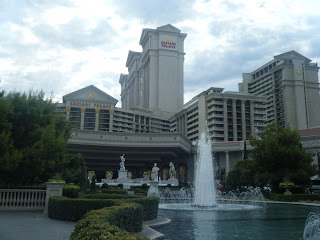 I've been to Las Vegas a lot. We've been making it a yearly event the last three years, as my husband is a huge NBA fan and loyal-to-the-end Trailblazer follower, and greatly enjoys seeing the newly-drafted play at Summer League. I don't adore basketball, but the games are fun and he has a friend meet us who is as into it as he is, so I can go or drop them off and then go do my own thing. 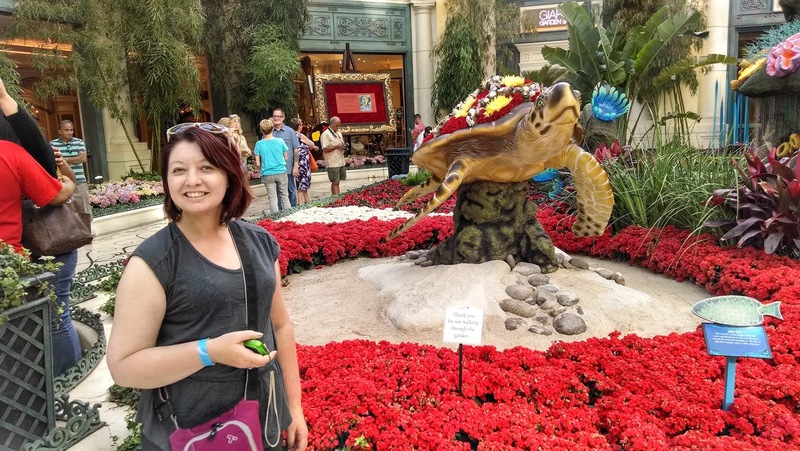 This year, I went to only one day of games of the four I could have gone to and did a lot of stuff on my own. Gotta bring you some cool stuff, right? 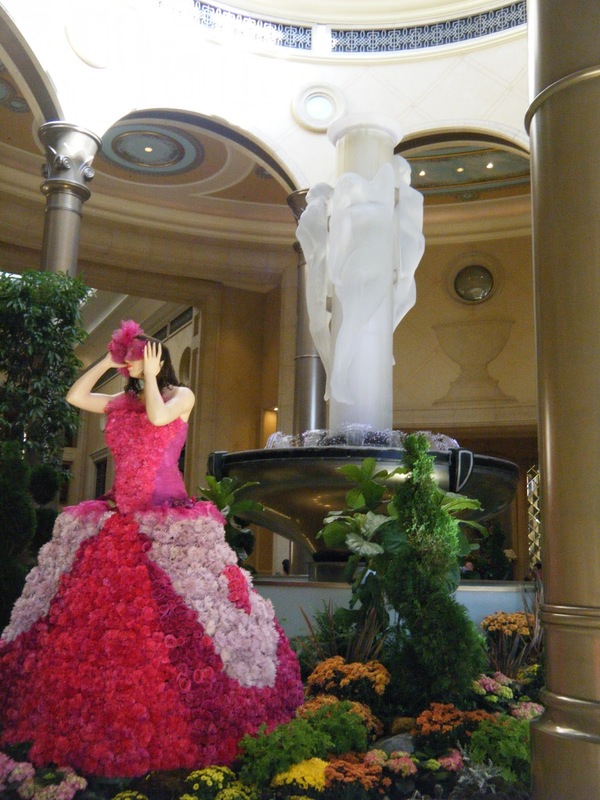 The classic Bellagio Fountains is probably on everyone's list. They start during the day if you're visiting on a weekend, but they're a fun way to see a free show and take a break when walking down the strip. A lot of visitors love M&M World. I haven't been there in quite a while, but they have some fun artwork and a short movie. 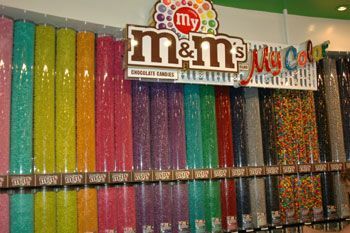 Plus, if you love M&M's, you can get every color of the rainbow there. 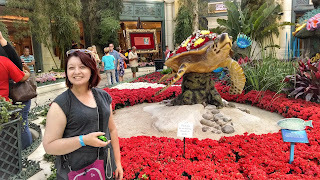 I looked up free things to do in Las Vegas and the Palazzo Atrium and Lobby was on quite a few lists, so I figured I'd head over and see what all the fuss was about. Like the Bellagio, there are flowers everywhere, including masquerade women. The atrium is just the tip of the iceberg. 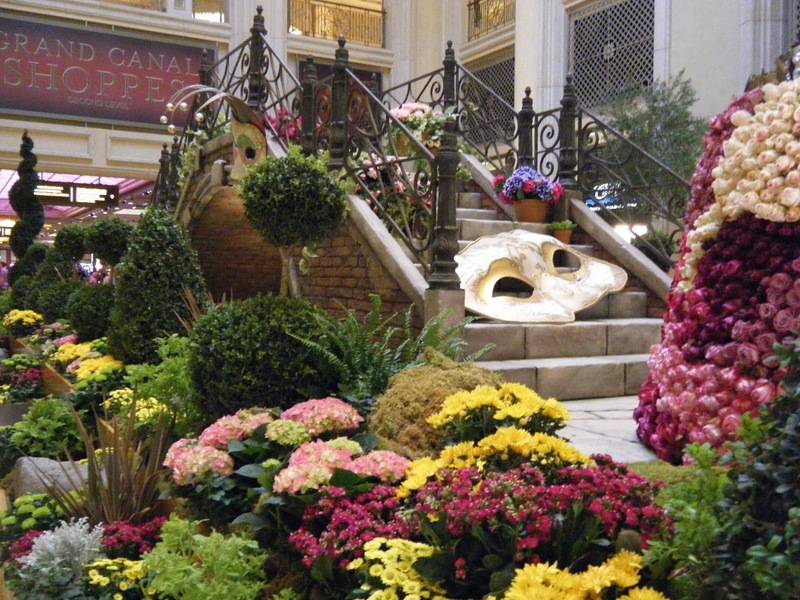 Make your way into the Canal Shoppes to see the magnificent waterfall and other landscapes. 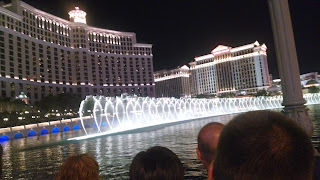 There's a spectacular bridge on display with fountain. 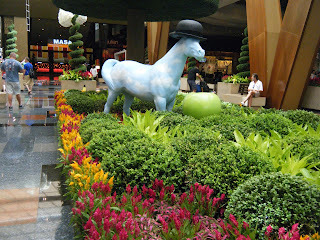 Have you ever been to the Aria before? 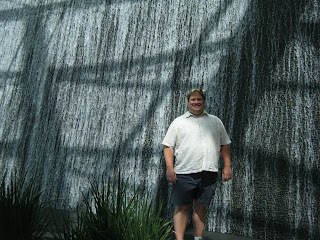 If not, it's definitely worth it to see the Water Wall and Lobby. The lobby is beautiful and has some fun art including floral clouds. Out front is a wall that creates a waterfall when water is pumped over it in different ways. 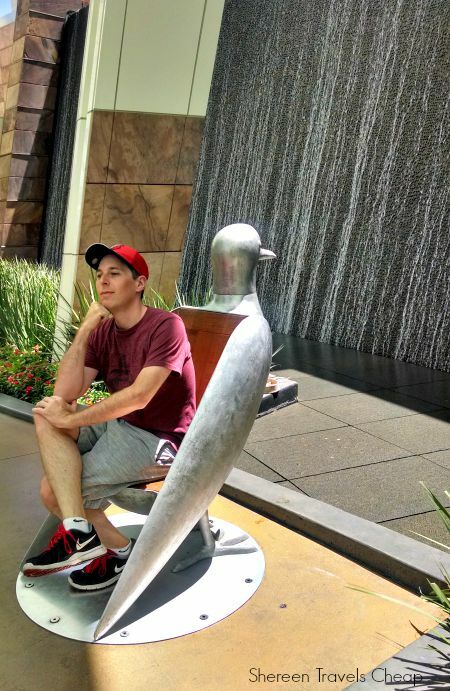 There is also a fun multi-colored fountain and these amazing pigeon chairs to wait for your valet (or just enjoy being next to the water wall. 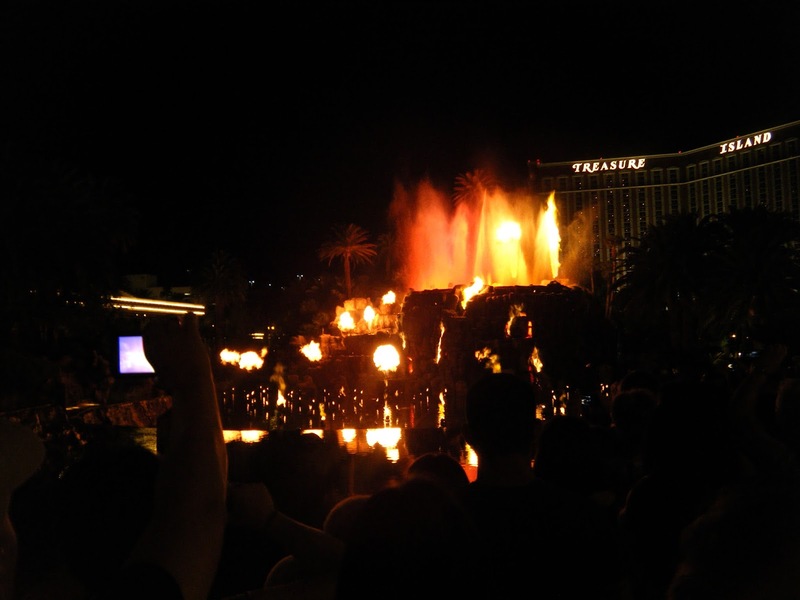 Throughout the evening, you'll see the crush of people waiting with their cameras and phones to watch the show at the Mirage Volcano. I don't blame them. It's really exciting with drums and fire and sprays of water. It's very tiki chic and I kind of love it. You've got to see it at least once. 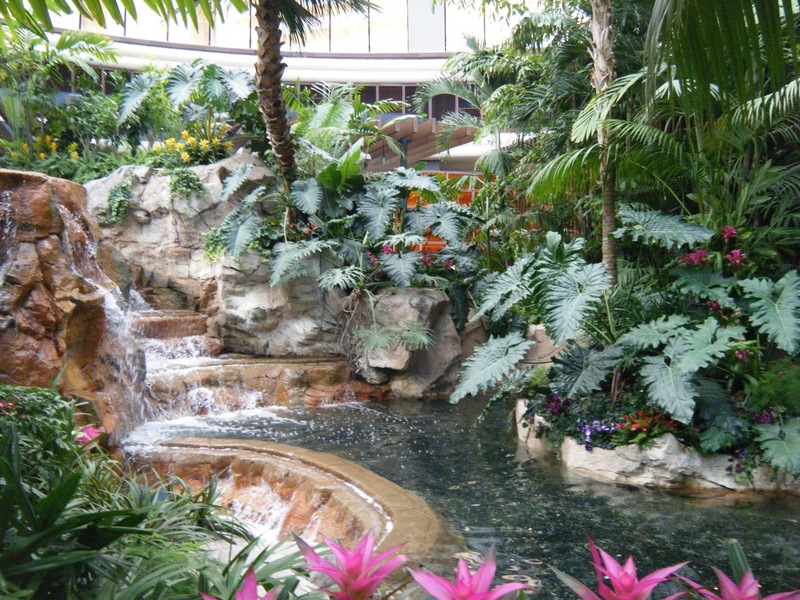 While you're already at the Mirage, then why not duck inside and check out their Rainforest? It's not large, but it's really pretty. It's better in the daylight, but it has an interesting feel at night as well. There are ponds and waterfalls and tropical plants and a little bridge. You can get some really good photo ops inside. 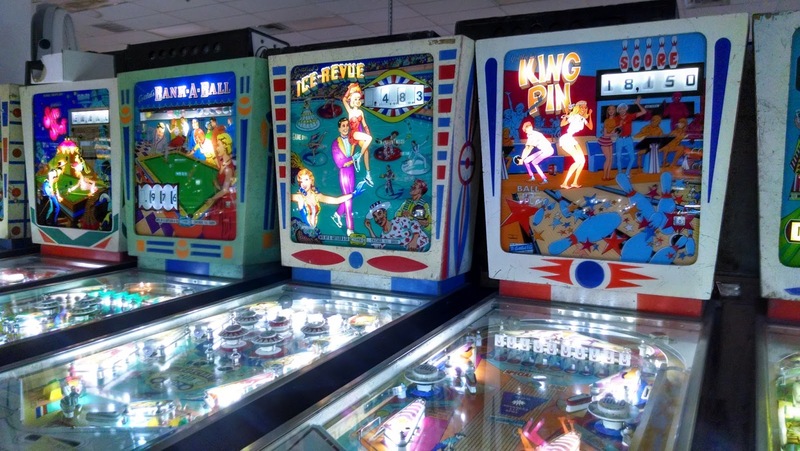 The last few years I've read about the Pinball Hall of Fame, but haven't had the chance to go to it. As we were driving to the bank, I happened to see it down the street this time, so one day I dropped the guys off at the games and went back to check it out. Needless to say, they should be jealous that they didn't get to go. 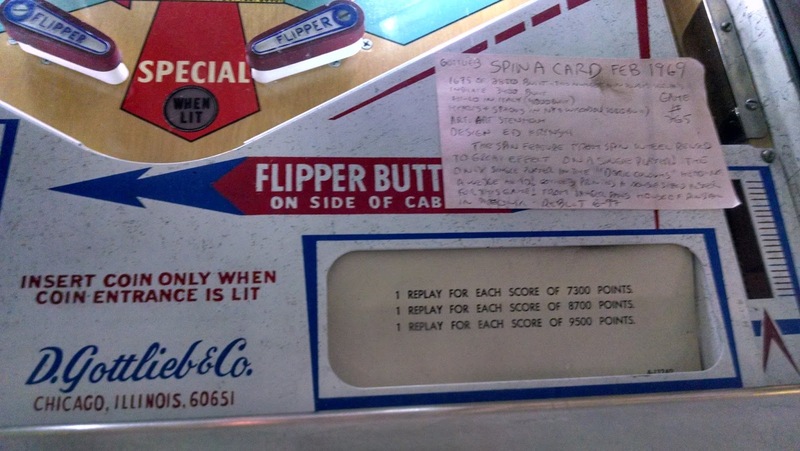 Admission is free, but the games are not, so you can grab a handful of quarters and play as little or as much as you want. I spent just $5 and it lasted me over an hour. 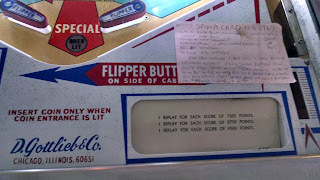 Each game has a card on it to tell you about the manufacturer and when it was put into play. There are a lot of Gottlieb machines and a few non-pinball vintage games. You can see in the back where other games are being repaired for play. 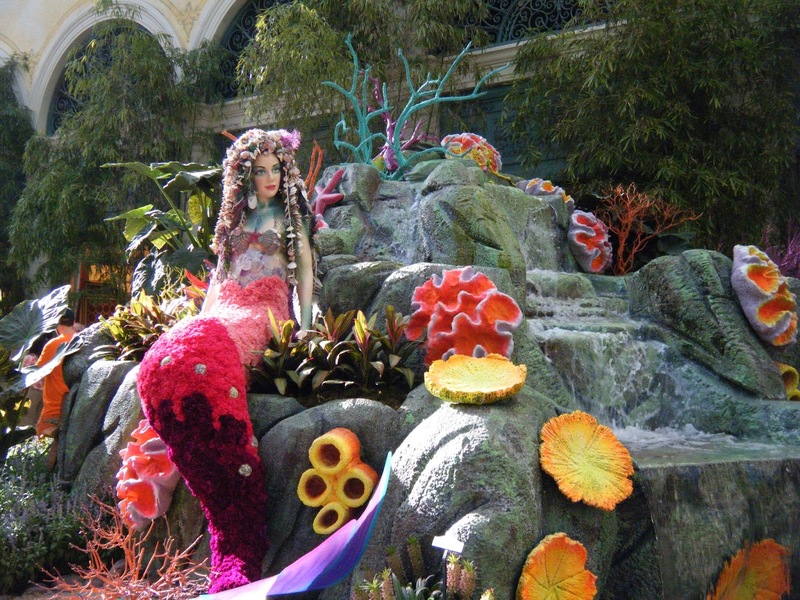 Have you ever been to any of these attractions? Which was your favorite? Stay tuned for Part 2.